Dempster's Eggs Benedict Recipe and CONTEST (~OVER~)! One of my favourite breakfasts of all time is Eggs Benedict! It is such a favourite, that my husband automatically orders it for me whenever we're at a restaurant that serves it. Why is it my go-to meal, you may wonder? Simply because it combines everything that I enjoy in a breakfast or brunch: poached eggs, cooked ham, hollandaise sauce, and hot toasted English Muffins! I love how the English Muffins sop up the burst poached eggs and the hollandaise sauce! I love Demspter's products, and their English Muffins are no exception to the rule! They are very easy to make in the toaster, and I love how melted butter catches in their nooks and crannies. I like to toast them until they are still soft inside and slightly crisp on the outside. I find them quite tasty, and like that they are baked fresh each day. Eggs Benedict Recipe with Dempster's English Muffins! 1.Toast the Dempster's English Muffins. 2.Saute all ham slices in the butter for 2 minutes or until done. 4.Arrange the sauted ham on the Dempster's English Muffins. 5.Poach the eggs in salted water, and let simmer in a frying pan. Ladle the water over the eggs. When eggs are firm, lift out and drain excess water from eggs. Place one egg on top of the ham layer. 6.Make the Hollandaise Sauce: Melt the butter and add all the lemon juice. 7.Put the egg yolk and water together in either a glass or metal bowl, sitting IN a pan of hot water on a low heat. Whisk mixture while pouring in the melted butter mixture. 8.Whisk yolk mixture vigorously as the mixture cools down. In about 5 minutes, it will thicken and double. 9.Carefully pour the Hollondaise Sauce over the poached egg layer. 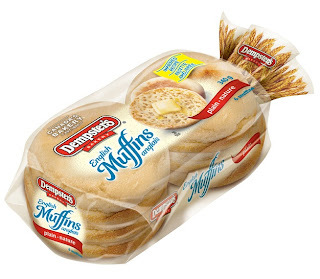 WINNERS: Glenda R & Elaine D.
WIN (1 of 2) $20 in Dempster's FREE Product coupons, so you can try ANY Dempster's fine products (yes, you can use the FREE coupons on New Dempster's English Muffins, if you wish)! 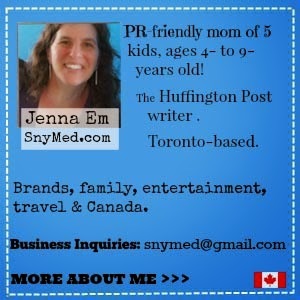 Open to CANADA, runs Mon Nov 26th to Tues Dec 11th, 2012. As stated, there are TWO winners. Leave a COMMENT below stating what you like to put on an English Muffin (ie: butter, jam, peanut butter, eggs, etc). Then use the ENTRY FORM to enter. Good luck, I hope you WIN! BUTTER AND JAM I'M SPOILED!! REAL BUTTER AND JAM, SOMETIMES ON THE PLAIN ONES I PUT A SLICE OF TOMATO AND MELTED CHEESE ON TOP!! My kids when younge always love it when I used english muffins to make mini pizzas for them ! The prefect size for kids ! I love eggs benedict so I'd try that. Great giveaway, Demspters is our brand. Yum! That looks much more delicious than the bowl of cereal I just had. I also love eggs benedict - and we only eat Dempsters bread in our home! I like to turn mine into a breakfast sandwich with butter, eggs and cheese! Mayo, Fried eggs, bacon, cheese ! Another favorite is toasted with butter, peanut butter and bananas !! mmmmm this is making me hungry !! Toasted with a fried egg and bacon and cheese !!! Another favorite though is toasted with peanut butter and banana's !!! MMMmmm making me hungry !! I LOVE to turn my english muffins into little mini pizzas! Put a little pizza sauce, bacon and cheese and throw in the oven! Quick and yummy.. and even better.. my kids LOVE them! Butter, eggs, bacon and cheese! - Lauren B.
its my go to breakfast- bacon and eggs! I'm a cheese whiz on my english muffins, kind of girl! I just like simple Egg and Ham Cheese. Peanut Butter almost every time! Butter and homemade rasberry jam! I love peanut butter and honey. peanut butter and lots of it! I like to toast them just enough to make them slightly crispy on the outside but still soft in the middle and just enough to have real butter melt into them.....yum! Toast it and just add salted butter - delicious! REAL BUTTER otherwise EGG!!!! (HELL YEAH!) I am craving for breakfast eggs! sooo delicious and yet it makes the healthy important meal of the day. Avocados on english muffins are the best!! I love just butter on my english muffins! I love scrambled eggs & cheese with lots of hotsauce mayo or hot sauce ketchep. . So many ways to enjoy them, we often make egg-mcmuffins at home, but I love to put honey or melt a big slice of real cheese after it's been buttered! Although I am a big fan of Eggs Benedict myself, my fave use of an english muffin came from my mom. She would put "pizza sauce", a piece of mushroom/pepperoni and cheese then freeze them. They were the perfect mini pizza snack!!! Try Dempster's english muffins with Jalapeno Havarti, Smoked Salmon topped with an egg and hollandaise sauce. Very tasty! I love to put a slice of tomato, cheddar cheese and turkey breast on my english muffins. So yummy! Microwave Egg with slice of cheese. I would make your eggs benni! Almond butter and bananas atop a Demptsters English Muffin. YUM! Mmmm... we might need to have breakfast for dinner tonight! 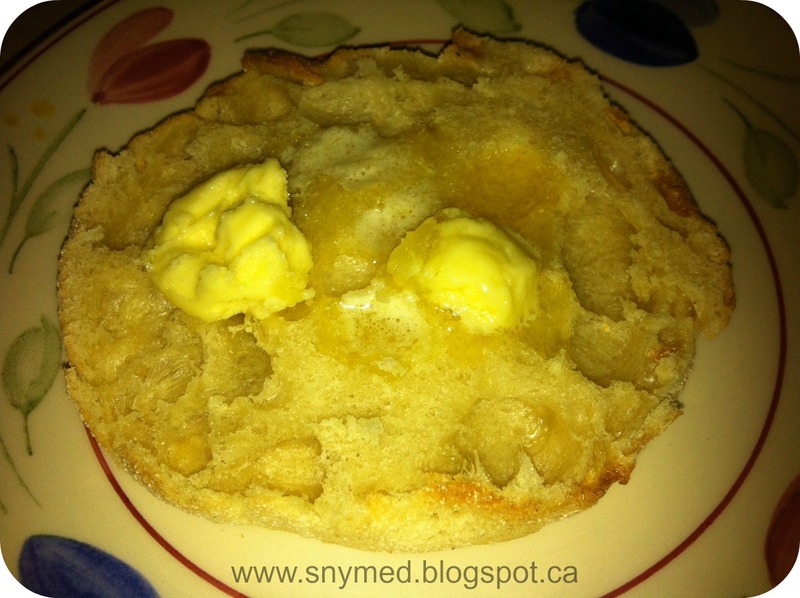 Real butter & jam :) Love english muffins! I love making an inside out english muffin sandwich with ham & cheese on my pannini grill. Just make the sandwich with the nooks and crannies on the outside, butter them, and then grill. The nooks and crannies get golden brown! I like to make inside out english muffin sandwiches with ham and cheese on my pannini grill. Butter the nooks and crannies and keep them on the outside and they get all golden brown! Peanut butter is the best on an English Muffin!! Tomato sauce,italian seasoning, mozzarella cheese, chopped onions and diced ham. I like my english muffins, toasted with butter and grape jelly! YUM! plain cream cheese and raspberry jam... mmmm. I am an Eggs Benedict fanatic and if it wasn't so fattening I would have it once a week, I use bacon for ham sometimes, another thing we like is in the toaster oven toast slightly buttered muffins and toast, then on each sode put 1/2 a slice of Kraft singles or Velveeta and put back in the toaster oven til cheese melts. Either peanut butter or I use them to make mini pizzas. I love to keep it simple and just use butter! Sausage and egg breakfast sandwich. Sausage and eggs breakfast sandwich, I think I'll go get one now. I like to fry and egg, top with cheese and mayo and put that on a Dempsters. My family loves english muffins for everything..especially after hockey on the weekends with eggs, ham, cheese and veges. Butter and peanut butty, so melty delicious! I love to make mini pizzas with mine! I love to use them for mini pizzas! I like to put eggs and a slice of cheese on my english muffin. Cream cheese with mine please! I like butter and jam on mine. I like to any kind of jam or honey on it! I love to put almond butter and grape jelly on my English muffins! I like to put bacon and cheese. I like to have an English muffin with butter and cheese. I put a fried egg and bacon on mine. Cream cheese and jam, my fav. I often enjoy it with just butter but sometimes with an egg and cheese to change it up. runny egg with freshly milled pepper. I like to put butter and jam on my english muffins. I love a toasted English Muffin with creamy peanut butter on it! I would love to treat someone to this awesome prize, unfortunately I need it badly myself. I would have to be selfish! I'd keep it for myself, but only because I am desperate for a nice, warm winter coat. I love this one! Thank you so much for the egg benny recipe and how to make hollandaise sauce from scratch! I am making these for my husband tomorrow morning since he also loves egg bennies for breakfast.